Sweet meets spicy in the most delectable way in this holiday fudge recipe. Invite this seasonal favorite into your kitchen for a treat that hosts the sweetness of the holidays and the warmth of a roaring fire in every bite. Mix sweetened condensed milk and white chocolate together in a bowl. Stir in vanilla extract, nutmeg, cinnamon and ginger. Stir until combined, then add most of the nonpareils and walnuts. Line a glass baking dish with parchment, then move the fudge over and smooth it evenly. Top with the rest of the nonpareils and walnuts, then let it sit for at least an hour to firm up. Serve in squares as big as you like and enjoy! 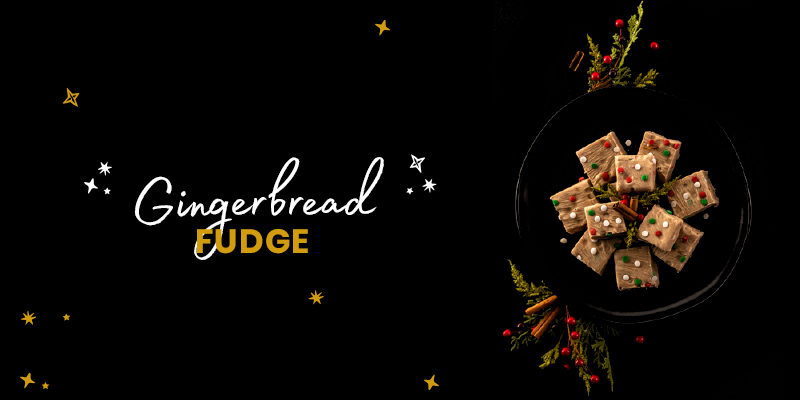 Get everything you need to make our Gingerbread Fudge online or in store!